Yes, that’s correct and Greeley Avenue continues to support the culture that changed it all. 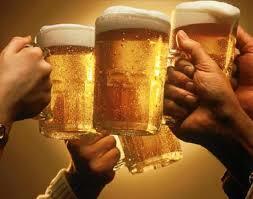 In fact, the pursuit of beer changed the course of humanity forever in 5000 BC. Neolithic people abandoned their wandering lives for farming, to grow grain for brewing beer. Now that’s some interesting information. And, Portland, Oregon, is known all across the country for the number of brewery’s and beers we produce. So, come on in to Greeley, order a beer and be a part of the ongoing change of humanity. After consuming buckets of aul (or ale), the Vikings would head fearlessly into battle, often without armor or even shirts. In fact, “berserk” means “bare shirt” in Norse, and eventually took on the meaning of their wild battles. In Egypt, two containers of beer were the minimum wage for a day’s labor. This entry was posted in Entertainment by greeleyave. Bookmark the permalink.